As digital marketing takes hold in organisations of all sizes, there is evidence that marketing leaders aren’t totally content with their martech investments. What will the marketing team of tomorrow look like? Andy Coghlan of Wipro Digital shares his views. The explosion of digital commerce has upped the ante for businesses of all kinds – they must know who their customers are, what they are doing now and how they can address their needs. The same digital explosion has given marketers a wealth of data to help them guide customers from interest to purchase. And, there’s a flurry of technology tools to help. We estimate there are some 6,000 martech solutions currently on the market, with more being launched all the time. But, businesses seem to be holding back from investing more heavily in martech. According to a survey by Gartner in 2017 corporate spending on martech spending has declined by 15 percent. Does this mean companies are calling time on digital disruption? The answer to this question is clearly ‘no’. To my mind, the slowdown in investment identified by Gartner has more to do with skills than technology fatigue. Martech is not a panacea, nor is it something that marketers can set-and-forget; organizations achieve the best results when they understand that marketing technologies are tools and that marketers must be properly educated to use deploy and leverage those tools effectively. A poll we carried out earlier in 2018 shines some light here: half of the marketing leaders we surveyed agreed that the martech competency of their own teams was a barrier to improvements; while fully 84% have launched training programmes to help up-skill their teams in martech. Implicit in these trends is marketing leaders’ recognition that they lack the right operating model for true digital marketing. They know the days of channel-specific, boom-to-bust marketing campaigns are over, and need to transition their teams to the new world of seamless, ‘always on’ marketing. While next-generation marketing technologies are critically important to business success, so too are the drivers behind the wheel. It’s these people and their ability to understand and operate these technologies that are creating the biggest value centres in the organization. On the flip side, it’s becoming increasingly apparent that lacking these mission-critical martech skillsets is no longer an option. To treat martech transformation as a series of sequential steps is a fallacy. They allow little room for iteration or deviation from plan – and if the goal is to build deeper engagements with customers, that’s vital. Marketing leaders have to be more agile – working across disciplines and channels, testing and learning, and continually iterating. Furthermore, teams are aligned around products or specific channels, not around the customer journey. There needs to be more collaboration within aligned customer journey teams – look for instance at Oracle, Salesforce, Adobe and IBM. These companies are constantly looking at how they can work better to drive end-to-end capabilities in the platforms, for which marketers need to find a new operating model to exploit. Marketing leaders know martech has a key role to play as customers become ever more exacting. They know they need to deliver the right content to right devices, at the right time, or customers will move away from brands which can’t offer these experiences towards brands that can. Delivering these kinds of tailored experience at scale is a major challenge. Technologies like AI and machine learning have a vital role to play in ensuring customer experiences become ever more personalised. Unsurprisingly, the best place to begin any marketing transformation initiative, is with the customer, not with channels or technologies. What does their journey look like today, and how should it look in an ideal world? Developing hypotheses and testing them in a ‘sandbox’, at arm’s length from production systems, is a good place to start. The process is what we call Evolving Personalization, and it focuses on one ‘micro journey’ at a time. It starts with investigating where to unlock value in the journey, using data to validate hypotheses, experiment and then industrializing marketing programmes at scale across the organization. This approach helps ensure marketers can use the wealth data available to successfully personalize. If Evolving Personalization sounds vague and directionless, that’s because the direction is coming from the customer, not the business. Failure is a very real possibility – and it’s one that marketers should embrace. But their experiences will bear fruit. As they understand more about their customers’ journeys, marketers can explore how different technologies can be brought to bear on enhancing them. Marketers who natively grasp digital are best equipped to understand this new world, and help their organisations take leadership within it. Put simply, the future is AI – and other new technologies such as AR, VR and IoT (Internet of Things) can help analyse customer journeys, automate content and deliver omnichannel experiences at scale. AI components allow enterprises to better prescribe content targeting and personalise journeys, which will be useful to enhance optimisation. This means we are likely to see AI chatbots used for marketing, which can be applied to websites to direct people to the right campaigns. Looking further ahead, the advent of truly channel agnostic marketing could herald a zero-based budgeting approach for all key marketing activities. As controversial as this may sound, zero-based budgeting will ensure businesses’ resources are focused on customer growth rather than channel-specific activities. Yes, this will be disruptive for some, but for others, it will be a great opportunity. Zero-based resourcing models allow organisations move away from boom and bust campaigns and head towards ‘always on’ experiences tailored to individual customers as they move along the buying cycle. We’ll also see more marketing offered as a service, where messaging and communications are as important as the product itself. Marketing and product development will continue to become more interlinked, as we work to develop more tailored and seamless services. There’s real scope for companies in different areas to work together for their mutual – and the customer’s – benefit. The partnerships some financial services providers have established with wearables companies is one example. Marketing as a function is likely to change organisationally, too, in terms of both talent and skill, spurred on by the need to think about customer journeys and driving engagement to specific parts of the journey. The industry needs to move away from the ethos of separate marketing teams dedicated toward working in small multidisciplinary teams developing strategies and content. Timeframes will compress: no more months-long production cycles; instead, two-week sprints will become the norm. In time, we are likely to see forward-looking organisations establish multidisciplinary ‘martech hubs’. Acting a little like marketing-focused R&D offices, and staffed by data scientists, developers and designers, they will help embed data-driven strategies, alongside agile methodologies like huddle and sprint. This will help marketing departments build, test and launch new capabilities far quicker than before. These groups are also likely to catalyse whole new ways of marketing which could cut across, or even totally contradict hitherto accepted practices. This approach ensures that the technology is designed and implemented around the marketer and the customer – rather than the other way around. The truth is, martech can only deliver a payback when marketing teams know how to use the technology creatively. Organizations must invest equally into their marketing teams and the CMOs leading them, so that they’re fully-equipped to choose, deploy, and operate the most suitable marketing technologies for their organization. By reskilling marketing teams, bringing on more tech-centric talents, and creating advocacy for marketing technologies at every level of the organization, organizations will be able to better realize its full potential. To summarise, the growth mindset is ‘be digital’ rather than ‘do digital’. CMOs today own a lot more than just brand building. Marketing leaders must demonstrate their value to the business and collaborate across teams. Successful digital transformation initiatives are driven by new ways of working, by taking lessons from the industry and instilling agility through the value chain – from strategy, through design to execution. Marketers who approach technology as a separate, downstream function will fall behind in their ability to drive omnichannel customer experiences. When it comes to choosing priorities, CMOs need to ensure their workforce is prepared with the mindset, skills, data, and technology to drive always-on, personalised customer experiences at scale. That is the bottom line for CMOs going into 2020. Andy is the Global Head of MarTech & eCommerce for Wipro Digital. He leads teams of digital transformation and digital marketing strategists to drive sustainable business transformation for global enterprise clients across all verticals. He is responsible for digital marketing, driving unique propositions and capabilities across strategy, technology, and operations to exploit digital marketing technology (MarTech) utilisation. 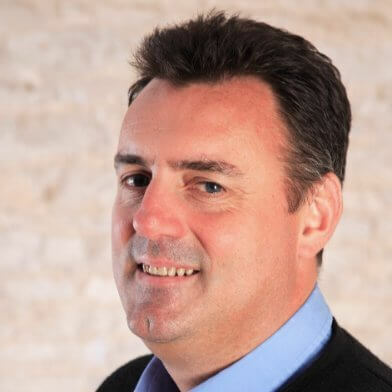 Andy is also specialised in driving successful implementation and adoption of DMP, CRM, CMS, portal, analytics, eCommerce, and email platforms to deliver data driven strategies. What you’ve read here? Tip of the iceberg. Are you ready to be part of the excitement?